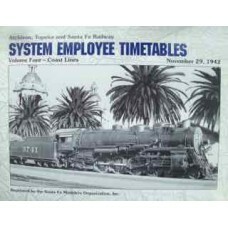 Contains reprints of all of the Timetables for the Coast Lines: Albuquerque to Los Angeles and Sa.. 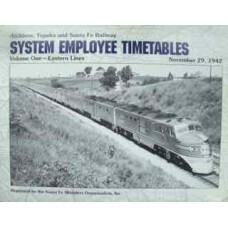 Contains reprints all of the Timetables for the Eastern Lines: Dearborn Station to Newton, Newton to.. 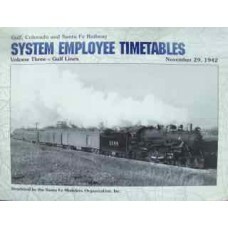 Contains reprints of all of the Timetables for the Gulf Lines: Galveston to Purcell, Temple to Sw.. 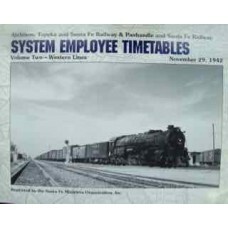 Contains reprints of all of the Timetables for the Western Lines: Newton to Albuquerque, La Junta..
150 b&w and 12 colour photographs including both steam and diesel. 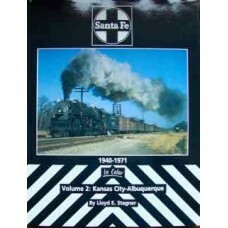 Images, portraits and impress..
During the time frame of this series, the Atchison, Topeka & Santa Fe was the largest r.. 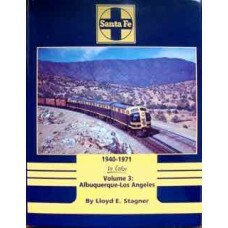 In the mid-Nineteenth Century, buckskin surveyors set forth along the route of the "Old Santa Fe ..
Volume 3 in this excellent series showcases the Santa Fes lines between Albuquerque and Los Angel.. 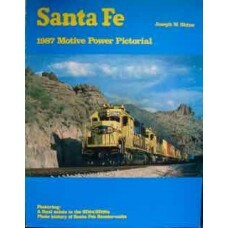 The first half of this book takes the reader from Newton, Kansas through Oklahoma and down into the ..
1987 pictorial of Santa Fe's motive power, just as the SFSP merger took effect. 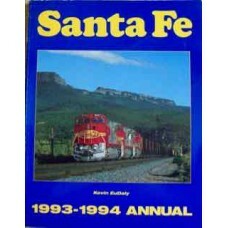 Includes the 1987 SF.. 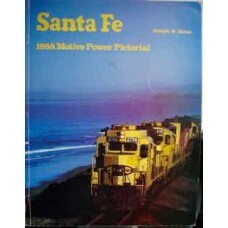 Detailed look at Santa Fe's diesel power: sections cover the Surf Line (steam and diesel eras, inclu..
A look at the Santa Fe with photographs, rosters, etc. 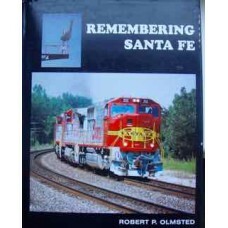 Softcover, shelf wear, rubbing and creasing. 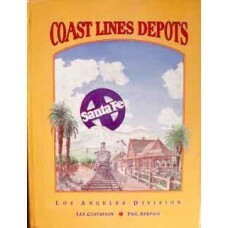 ..
More than 330 photos, illustrations, and maps document depots, towers, and freight depots. Floor pla.. 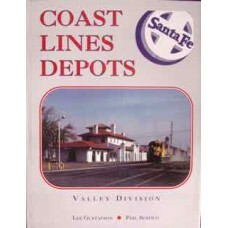 Covers the Valley Division which is the area from Barstow through Bakersfield to Oakland. 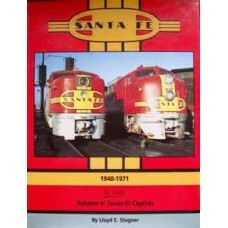 More th.. 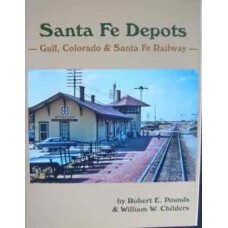 Brings to print the late Robert Pounds' work on the Gulf Lines depots. 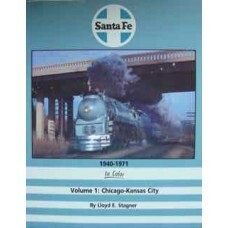 Published in the same style a..